Hearing baby’s heartbeat has to be up there as one of the loveliest sounds in the world. It never fails to reassure my worries and really hit home that there is actually a little bean taking up residence in my tummy. I recorded it at my 21 week check up this week and it was lovely to share the moment with my family…I would post the video on here but I don’t fancy showing off the full extend of my stomach tissue mass on the internet. See I do have boundaries. There are some kids that make you want to run a mile and get a dog instead. Then there are other kids that leave you so excited to become a parent and hanging out with my cousin and her babies last week made me feel super excited to be a mummy. They never fail to make me laugh and burst with love with their gorgeous smiles and beautiful personalities. Plus we share a passion for all things Muppets & Disney, so we were always destined to get along just great. My skin has changed so much already throughout this pregnancy and it was perfect timing that I was asked to try out a basket of Forever Living goodies as my usual products haven’t been working as well as they usually do to tackle the hormonal related skin problems I’ve been suffering with lately. I then went on to purchase the Aloe Scrub and the Propolis Cream. Using them both daily, my skin has definitely cleared up and it’s texture has improved too. I also picked up the Aloe Heat Lotion which the Hubster has been using on his neck (which he says is better than Deep Heat!) plus it’s safe to use during labour, so I’ll be popping this little beauty into my hospital bag when that time finally comes around…eek! Feeling like a smug pregnant chick last weekend attending The Baby & Toddler Show with Mum and Emily. It was so much fun mooching around seeing a load of newfangled ideas for tiny humans. Some of which were totally unnecessary (like a towel/apron type thing for parents so they don’t get wet when bathing children…er at £25.00 each. I think I’ll just get wet thanks, or use a regular towel) but it was great to get an idea of what was out there in the world of baby products. Don’t panic, I didn’t go crazy and buy everything. Quite the opposite in fact. I did what any normal, overwhelmed mummy to be does at these events: I bought 10 handkerchief bibs, a food delivery subscription service for me and the Hubster and was introduced to my dream pram which costs more than our mortgage. Oopsie. The Hubster informing me that my ‘fertiliser had arrived’. Er babe, do you mean ‘Steriliser?…I think you’ll find I’ve already been fertilised!’ See what I have to contend with on the baby preparing front? What little things have made you smile this week? Let me know in the comments below…! 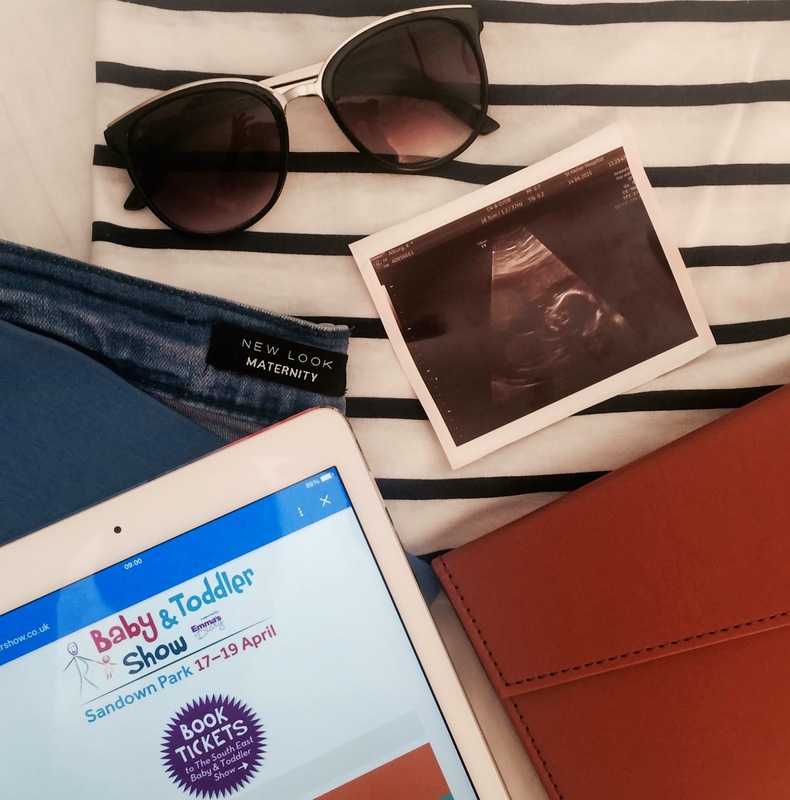 Next Post Preparing For A New Baby…How Much Stuff Does It Really Need?